This smart sleep mask is almost like a DJ for your sleep. It enables you to make the most of your naps throughout the day. There’s no arguing that sleep is an essential element of everyone’s day, yet getting enough of it is a challenge for many. It might not seem like much, but research has shown that just a 10 to 20-minute snooze during the day can boost alertness, mood, and productivity. Anything outside that window, however, will leave the individual groggy and tired. 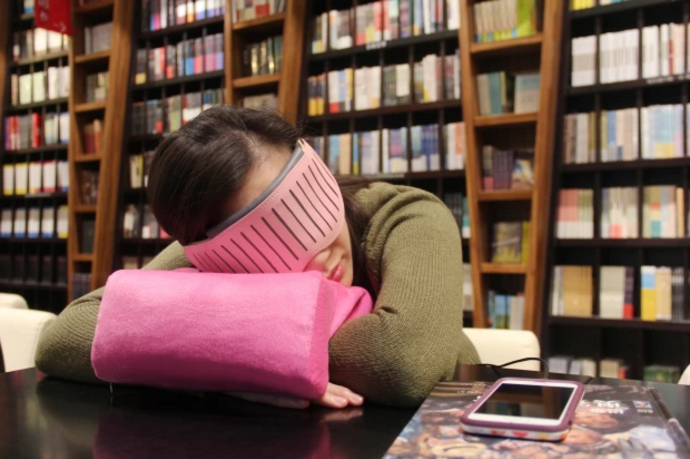 Naptime is a smart eyeshade designed to help users feel rejuvenated and refreshed after taking a power nap. 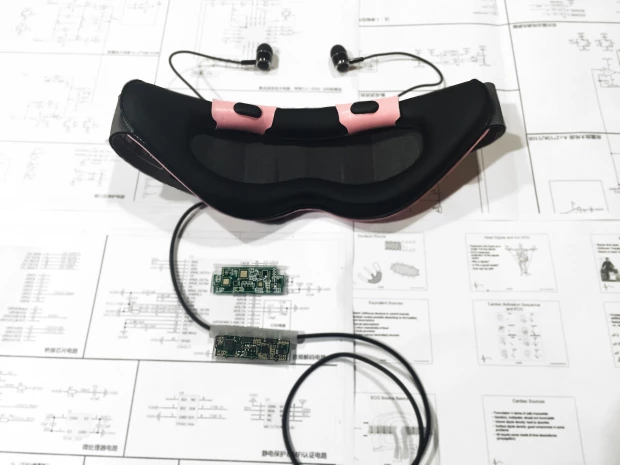 The device uses EEG technology to help users fall asleep and feel more refreshed when they wake up. Rather than only focusing on blocking out light up front, Naptime uses memory foam which provides a 360-degree blocking effect. Naptime doesn’t require any batteries, comes with a leather cover, contains a memory foam interior, and has built-in lossless digital audio headphones. The science behind Naptime revolves around patented dry EEG technology. The electrically conductive leather of the device touches the skin to capture the brain’s electrical signals. The data then goes from the EEG to the Naptime app. After the data is processed, Naptime uses the data to determine the right music for the user’s mood. A notable feature of the device is its ability to be a DJ for napping. The eyeshade breaks the sleep cycle into four stages – relaxed, drowsy, light sleep, deep sleep. It first plays music to help the user relax and then, as they progress through the sleep stages, the music then fades and is replaced with white noise which blocks out outside sounds. The Naptime iOS and Android apps enable users to select music, choose from four guided meditations, and set wake-up times. Users also can play white noise to help them fall asleep, pick the best point in their sleep cycle to wake up, track sleep metrics (time to fall asleep, sleep cycle curves, and length of sleep), and receive personalized recommendations to improve sleep quality. Naptime supports lossless 48KHz audio output, has a sound chamber with a built-in Cobalt diaphragm, and is powered via the Lightning/USB type-C connector. So far, Entertech has raised over $34,000 towards their $30,000 goal, via Indiegogo. Early bird pricing for the device starts at $139 which is 44% off the retail price of $249. The purchase includes one Naptime eyeshade, shipping, and a one-year warranty. The estimated shipping date is May 2017. The eyeshade comes in the colors pink, white, or black. The fact that the app uses your nap time data to customize the best results for you is amazing to me. That really makes it well worth the money if you are a napper like me. Napping can be an important part of your day and if done right, can be a benefit as well. No batteries is a major selling point right here. Being attached to an app for the music and other things is also quite nice. I would be willing to give something like this a try! Man, there is an awful lot of technology and electronics going on here and I would hate for someone to get electrocuted from the thing! Bonus! I love me some nap time and this little gadget is likely to be in my household very soon! Who would have thought technology was needed to get a proper nap?